Click here to see all the vocabulary as well as the grammar described at TheJapanesePage.com. There’s audio there too! Learn 101 useful Japanese idioms. What happens if your mouth is heavy? Or if you use people with your chin? Or when you grind sesame? Even VERY Beginners can get a lot out of this product, but hiragana and very basic Japanese is recommended. If you can’t read hiragana yet, romaji and extensive notes are provided. 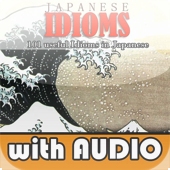 In this app, you will learn 101 of the most common idioms found in everyday Japanese. We have carefully selected only the most useful idioms and organized them into logical categories for maximum benefit. Every idiom has a sound for the idiom, an example sentence, and a practice sound with space for repetition. 1) Study Pages: See all data for the idiom on one convenient, scrollable page. Tap the idiom to hear it spoken, see the romaji and English definitions, read the comments and etymology, and read & listen to the example sentence to see how the idiom is used in real Japanese. In addition to hearing just the idiom and example sentence, it also has a sound file that leaves a space for repetition, a slowed-down version, the example sentence, and the English too. 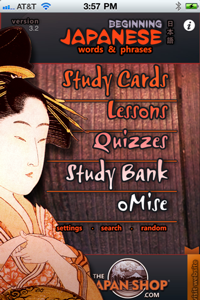 2) Flash cards: Select one of the eight categories; choose to display the Japanese or the English on the front of the flashcard; flip the card to see the meaning and notes; and tap the sound icon to hear it spoken. You can also practice the example sentences in the Flash card section. 3) Quizzes: Quiz each section individually or together. After the quiz, the app will display a list of incorrect answers with links to the card with all the information. 3) Quiz mode: Select one or more categories and 15 random multiple choice questions will be generated from those categor(ies). Please see screenshots or our video at the support site to see it in action! Missed answers are reviewed and studied after the quiz finishes. As with any of our other apps (search “Japanese Phrases”), if you have ANY questions, problems, or suggestions we would LOVE to hear from you! Please see our support site (http://thejapanesepage.com/iphone) for our phone and email contact information. 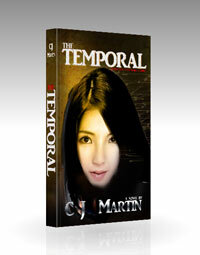 What’s New in this Version –Fixed a bad link to the free PDF download — sorry about that! Now tapping the “52 Page PDF” icon on the front screen will give you the correct URL. –If you have an older iOS, you may not want to install this update. I believe it will only work with the newer 4.x versions.